THE ONLY FESTIVAL IN CANADA DEVOTED EXCLUSIVELY TO SHORT FILMS MADE BY EMERGING WOMEN, TRANS, & NON BINARY DIRECTORS. 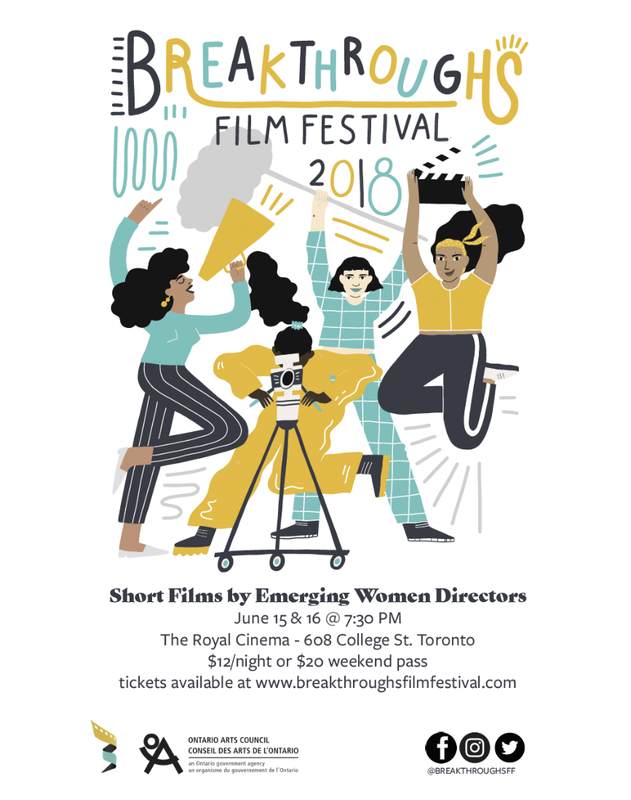 After two successful nights of diverse and inspirational storytelling told by a global cross-section of emerging women filmmakers, the 7th annual Breakthroughs Film Festival came to a close Saturday night. We are proud to announce the winners of our five festival awards, presented by our jury comprised of three accomplished filmmakers. In addition, we are pleased to report that our audience numbers have grown from last year, and a brand-new community-driven award was introduced last night – the Toronto New Wave Award – to be handed out annually, recognizing a Toronto-based emerging filmmaker. The Toronto New Wave Festival, along with the incredibly generous in-kind sponsorship from AstroLab Studio ($2,000 value) will undoubtedly have an immense impact on young filmmakers, and Breakthroughs is excited to develop this new partnership. Chosen from over 100 submissions, BFF18 featured a total of 19 films which were reviewed by our jury of respected veterans in the film industry: Karen Chapman, Aisha Jamal and Sharon Lewis.